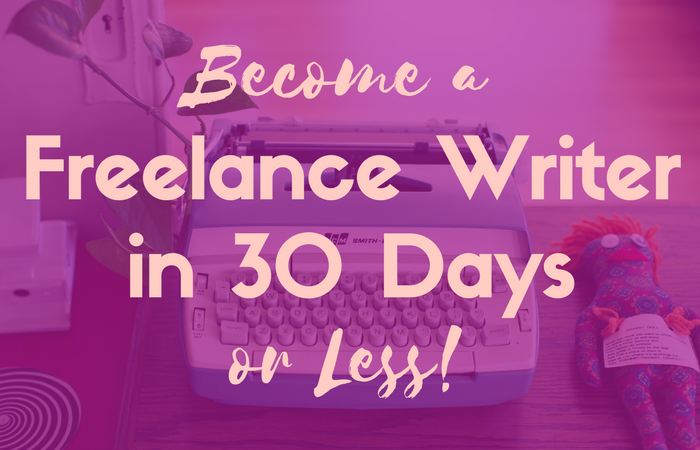 How did you find out about 30 Days or Less to Freelance Writing Success? What interested you in it? I’d been curious about freelance writing for awhile, so I started reading everything I could on the subject. Gina Horkey’s articles kept coming up. Her articles were so clear and helpful to me. I consumed every piece of content she wrote that I could get my hands on. When I saw her course, 30 Days or Less to Freelance Writing Success, I jumped at the chance to learn her secrets. Gina Horkey is best known as the brains behind Horkey Handbook, a blog that helps new freelancers succeed. She started her freelancing career in 2014, and within six months she was earning $4,000 per month all while working full-time and raising two toddlers! Why did you feel you needed to take this class? Even though I’ve freelanced for a long time in other capacities, writing was very new to me. As a life-long avid reader, I was both intrigued and intimidated by the idea of becoming a writer. I did write for my own blog and occasionally for my virtual assistance clients as well, so I knew I enjoyed it but felt I needed an action plan. Also, I was very attracted to Gina’s method of introducing the world of freelance writing, baby step by baby step, without a huge time investment. What are the positives and negatives of the course? Gina’s course was the guidebook I was looking for and then some. The course gives you an actionable step you can take each day (or faster! ), and every step builds on the last one. Some steps I soared right through one after another, others took a few days to get right, but I felt I was gaining momentum with each lesson. At the time that I first took 30 Days or Less to Freelance Writing Success I did find the email-only format to be a negative. It’s not a big deal, but I prefer to keep my email closed while I’m working through a course as it can be easy for me to get distracted. Gina has since relaunched the course, and the new classroom and format are beautiful. What is the price of the course? Do think it is a good value? How did the course improve your life? Although I know there’s still plenty of room for improvement as far as my writing goes, this course has shown me that I can make an income doing what I love to do NOW. It’s not about being perfect. I think the most valuable lesson of the course for me was to start before you’re ready. You’ve heard that before, probably, but Gina makes a seriously convincing case that I found inspiring. And you know what? By the end of the course, I’d already landed my first freelance writing client. Yay! One of the best things I got from 30DOL to Freelance Writing Success, though, was access to Gina through her Facebook group. Some course Facebook groups aren’t really that active or they’re all about self-promotion. Often, the course instructor only occasionally checks in, relying mostly on scheduled social content. Gina is not that person. Her community is incredible. She shares helpful tools, challenges, and pitching contests. There’s tons of feedback and encouragement, and it is just generally an incredibly supportive and engaged community. If you’re new to the world of freelance writing and want to learn how to get paid to write, this is a great course to take! If you complete each lesson, you’ll find yourself getting paid to write sooner than you think. I’d love to hear from you in the comments! What’s the BEST course or investment you made in your business?